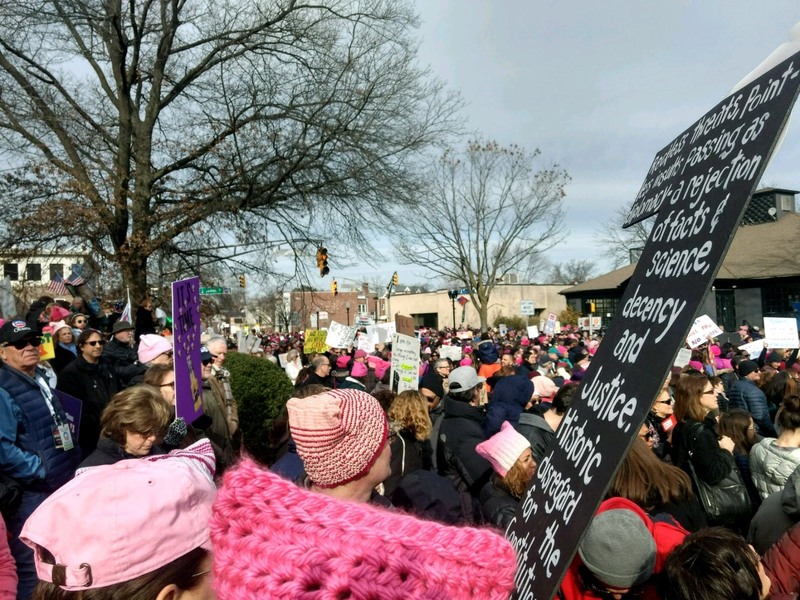 TRENTON: The 2019 Women’s March on New Jersey returns to where it all began, Trenton. The event will be held at the Trenton War Memorial from 11:00 am to 1:00 pm. For more more information and to RSVP, click here. ATLANTIC CITY: The AC Women’s March will honor the work, heroism and sacrifices of Ms. Fannie Lou Hamer. It was 55 years ago in 1964 that Hamer and the Mississippi Freedom Party sought to take their rightful seats at the 1964 Democratic Convention which was held in Atlantic City, NJ. The event will be held from 10:00 am – 2:00 pm at S. New Jersey Ave and Pacific Ave. For more details and to RSVP, click here. WASHINGTON D.C.: Our Brothers and Sisters from AFT Local 1904 (Montclair University) have two buses headed to Washington D.C. The buses will leave the University at 6:00 am and return at 8:00 pm. AFT national has once again offered their headquarters as the drop off point for meeting in DC. There is NO CHARGE for AFT members and their families as this is a benefit of membership. You must reserve in advance so click here to RSVP. AFT Teachers in Los Angeles will go on strike on Monday. The School Board has more than $2 billion in surplus funds but has been starving the public schools in favor of private charter school. For us this is the equivalent to the “for profit” investors taking over our community hospitals. We are standing in solidarity with LA teacher on Monday and showing our support by wearing red. 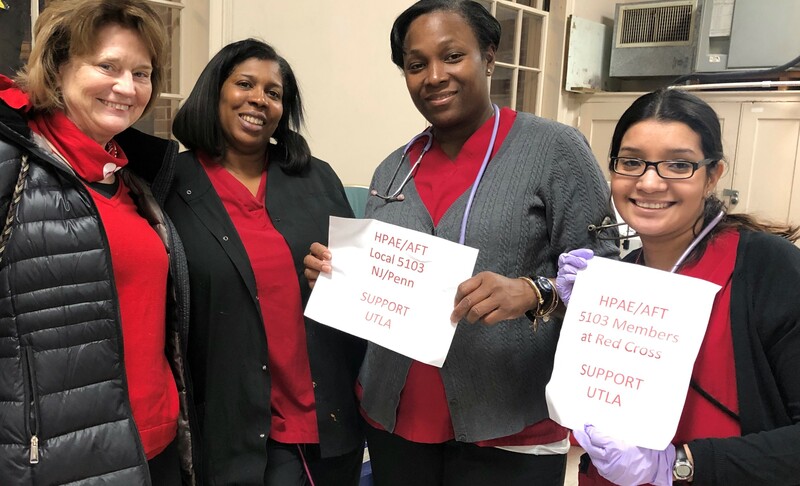 Show your support by holding signs and posting pictures with the following hashtags: #UTLAstrong #strikeready #we are LA! 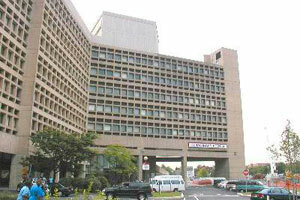 NJ Department of Health held a “Listening Session” to hear from advocates as they prepare for the next budget cycle. 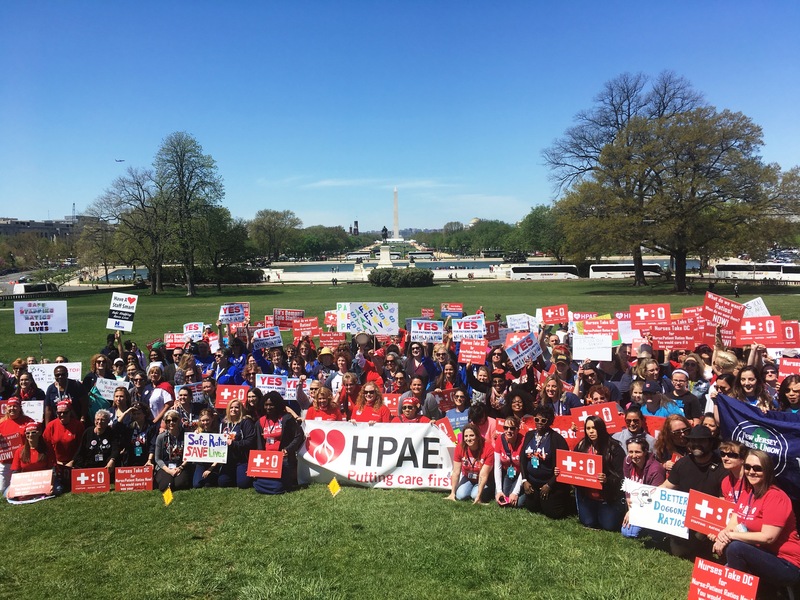 HPAE President, Debbie White, called on regulators to increase funds for University Hospital to address the concerns raised in the Monitor’s report issued at the end of 2018. Our allies at NJ Safe Ratios are holding a Lobby Day in Trenton to advocate for legislation that will establish nurse staffing standards in hospitals! We know safe-staffing ratios improve the workplace and patient care. So mark your calendars for NJ Safe Ratios Lobbying Day: Thursday March 7th at 9 am in Trenton! 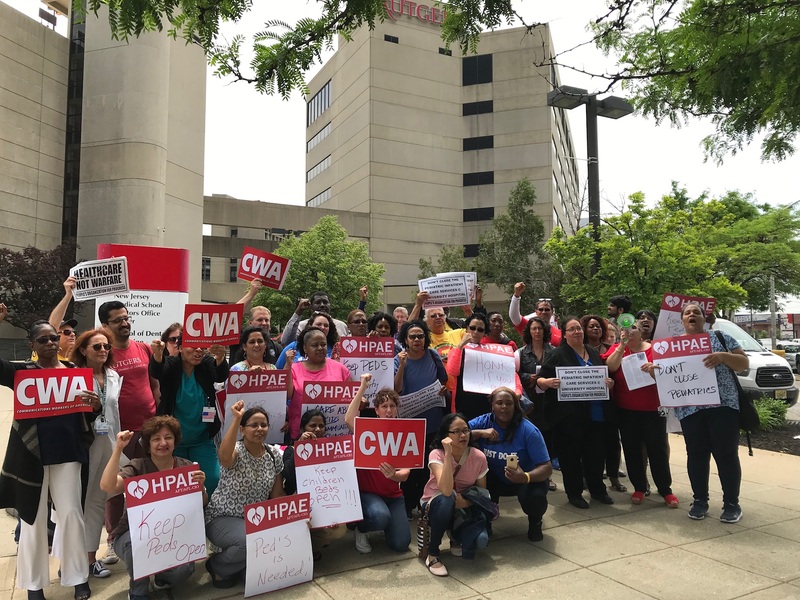 HPAE Nurses at Jersey Shore University Medical Center and Southern Ocean Medical Center are still celebrating the ratification of new contracts with Hackensack Meridian Health. 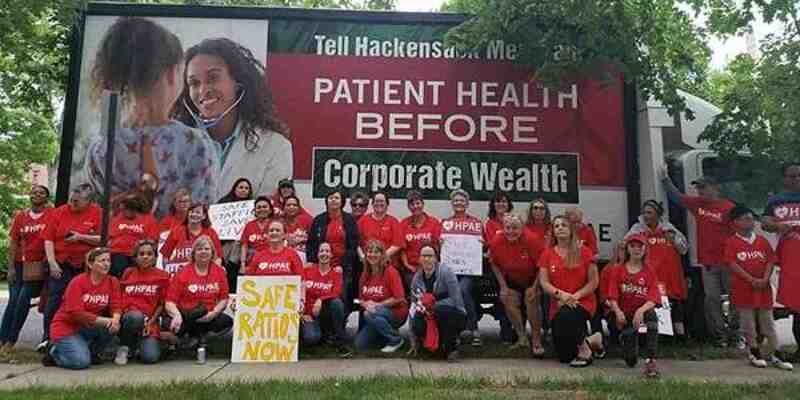 Read AFT’s coverage of recent the contract settlement between HPAE and Hackensack Meridian Health.